Primark’s latest skincare venture has beauty lovers falling head over heels. 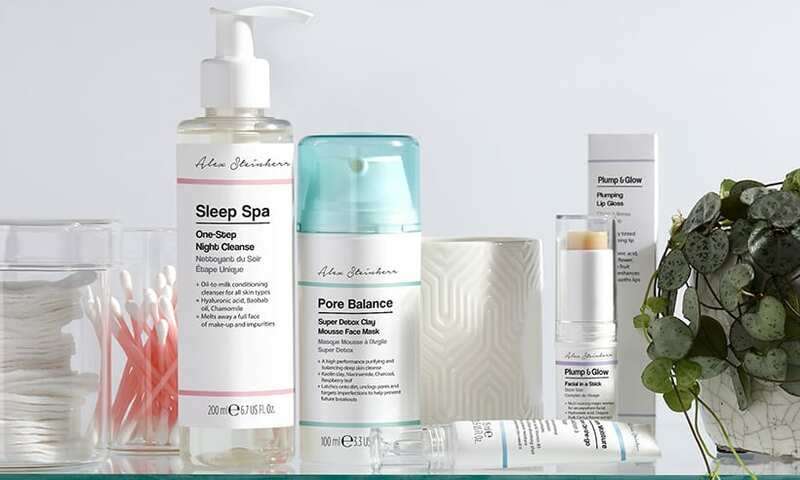 The Alex Steinherr x Primark collaboration seeks to meet the needs of every skin type and concerns. Get excited for brand-new advanced formulas at wallet-friendly prices! Why is this known as the ultimate skincare collection? Well, this selection caters to a variety of different lifestyles with their impressive range. Each set is packed with high-quality ingredients that benefit your skin. Keep your skin hydrated for a radiant glow with this range. The addition of hyaluronic acid locks in the moisture in your skin and keeps it looking plump and healthy. Overnight Lip Mask £4, Sleeping Face Mask £5, Every Night Eye Mask £4, One-Step Night Cleanse £5. Removing impurities, replenishing, AND restoring tired skin – what more can we ask for? Full of calming and moisturising ingredients like chamomile and hyaluronic acid, wake up with soft and supple skin. Moisture-Locking Everyday Moisturiser £5, Hydration-On-The-Go £4, Micellar Cleansing Gel £5. Your busy life does not stop you from achieving flawless skin. Cleanse, Prep and Moisturise effortlessly with products filled with beneficial ingredients. The packaging is also designed for the perfect on-the-go use. Low-Ph Sulphate-Free Cleanser £4, Super Detox Clay Mousse Face Mask £5, Anti-Blackhead Stick £5. Banish all skin impurities with high-performing ingredients that facilitate detoxification. Special ingredients included are anti-oxidants of salicylic acid, charcoal and raspberry leaves! Your skin is just begging you for these products. City Mask £3, Daily Skin Starter £5, Dual Texture Exfoliating Pads £5, Oil-Free Gel £5. With the occasional haze here, these products help protect your skin! It purifies and brightens with wholesome ingredients including ginseng and anti-oxidants. Want to try Primark’s skincare range too? Ask Airfrov travellers in the UK for help to bring it back to Singapore! Simply sign up on Airfrov, post a request and wait for a traveller to offer! All pictures are from Primark. 6 Shiokest Snacks from Malaysia Worth Dieting for! Cheryl WongMake up junkie with a love for exploring new cities.